"Tableau Software helps people see and understand data. According to IDC in its 2012 report, Tableau is the world’s fastest-growing business intelligence company, Tableau helps anyone quickly analyze, visualize and share information. More than 10,000 organizations get rapid results with Tableau in the office and on-the-go. 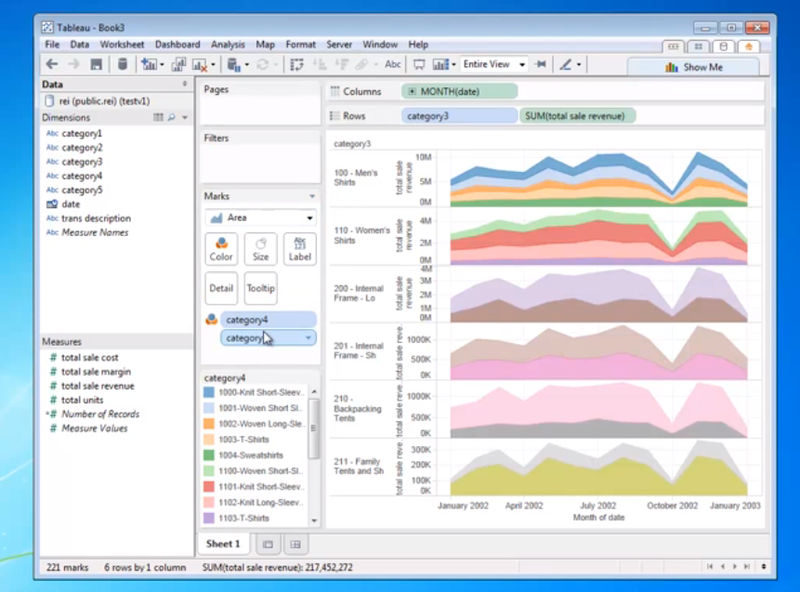 And tens of thousands of people use Tableau Public to share data in their blogs and websites." "Amazon Redshift’s fast and powerful service and Tableau’s interactive analysis will make it possible for companies to get access to and understand their data with low start-up costs and no big IT projects. Our new Redshift connector furthers our mission to democratize data across the organization and continues our momentum as the de facto standard for Big Data analytics." Connect Tableau’s industry-leading reporting and analytics platform to Redshift. Learn in seconds what used to take days, without writing a query. Quickly build beautiful dashboards that deliver business insight to your organization. "We make it easy for you to connect tableau's industry-leading cloud reporting and analytics platform to Amazon Redshift. Now you can quickly get reporting and analytics to run your business, embed killer dashboards and cool visualizations inside your SaaS app or run Big Data analytics, all with the push-button ease of the Cloud. You can view a demo of our solution in the video below. A guide to optimize Tableau and Redshift is also available here » "
Modernize data warehouses on AWS. Find out more about how Amazon Redshift and Tableau Software’s ability to connect directly provides business users the power and agility to analyze and gain insights from data sets running into the billions of rows. In this whitepaper you can learn about issues relating to query patterns, data modeling, and workbook construction in an effort to achieve optimal responsiveness. Download the whitepaper.